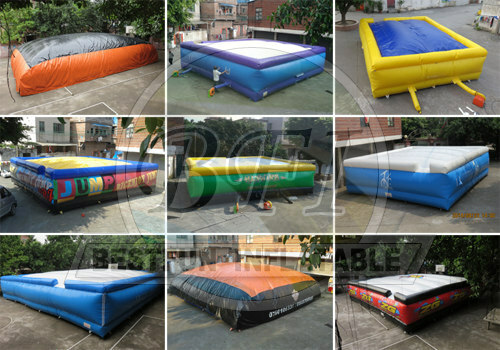 News - Guangzhou Bestfun Inflatable Co., Ltd. The BigAirBAG is a fall cushion used in the world of professional stunts. By placing the BigAirBAG behind a ski jump the BigAirBAG offers the perfect and most safe opportunity to practice all kind of freestyle jumps! Like skiing or snowboarding, BMX riding or non-motorized sports. From 2010 we start to reseach and develop the best quality big air bag, then put on production. We have received good reputation because of good quality with competitive price! Not all the products of "Made In China" is not the best! BestFun provide you the highest cost performance. We are leading the way of producing big air bags, now just few factories know or produced airbag. Any custom products are available for us, like print logo, change size, color etc.